The SWA runs the greatest student windsurfing series in the UK. In previous years we have teamed up with some of the biggest names in the industry to bring our competitors a line of truly epic prizes for each event. The best student riders from around the country will be battling it out to win the top prizes. The Boardwise demo van is a huge contributor to the life and soul of the SWA events. They work tirelessly to give students the chance to try out the latest kit available, packing a whopping £30,000 worth of demo kit for our (careful) exploitation! Boardwise are one of the UK's largest windsurfing retailers, stocking many of the major brands with 4 shops in England and Scotland. They also have a particularly large selection of second hand stock for the hard up students among you.They are very generously providing the prize for the winners of the team race at Nationals this year! 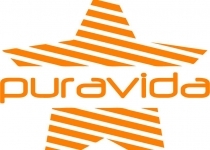 Headlining the wave series this season, Puravida are known throughout the South West of the UK for being a premier supporter of university clubs, sponsoring Cardiff, Bristol and Bath to name a few. Jim is not only a skilled veteran wave sailor, but also one of the most experienced wave event officials around. He is also known for organising and running the infamous BWA events. He is a massive part of the SWA wave series AND helps to filter the next generation of ripping wavesailors into the BWA! Colwyn Bay Watersports is a new and exciting watersports centre in North Wales headed up by the SWA's very own Taffy Osborne. Every year it puts more windsurfing instructors into the industry than any other UK centre and is keen to grant as many SWA members as possible the god-like power of windsurf instructor. It sponsors the best instructor prize at our Aussie Kiss festival as well as providing tuition and support throughout the series. This year, it is also playing host to the windsurfing BUCS event of the year — Nationals! From Tushingham: "Tushingham is a dedicated watersports distribution company with over 30 years’ experience in the watersports industry. We take pride in our service and supply only the products we regard as the very best of their kind and that we ourselves would use." Tushingham have kindly agreed to provide us with a boom and some other goodies this season! ION ION is a brand run by passionate people, whose big love have always been watersports. Launched back in 2004, ION focused on wetsuits & neoprene products for the international windsurf, kitesurf, surf, SUP and wakeboard scene. The product range also includes accessories, harnesses, travelgear and an apparel collection. Duotone The new name for North Sails, Duotone still has the same team producing some of the highest quality sails and equipment on the market. K4 Fins K4 Fins specialise in windsurf fins. Their fins are unique to windsurfing, they're made using plastic composite giving them extra flex, reflex and outstanding performance. They supply some of the top windsurfing and kitesurfing brands. Mark Warner Mark Warner has 40 years experience of offering watersports and skiing package holidays at a variety of destinations across Europe. 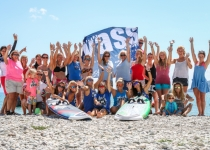 They have been a key sponsor of our core events this year, particularly the Mark Warner Beginner Beach at Aussie Kiss which provided freshers from across the country with their first taste of windsurfing. They also kindly donated £250 to the winning club of the Aussie Kiss team race, to help train up a new cohort of instructors! And, they’re hiring, so if you want to get into windsurfing hit them up! SolRX SoxRx sunscreen offers the perfect solution for windsurfers who want to maximise their time on the water. They offer an extensive range of waterproof creams and zinc sticks that protect your skin, whether you are on the water here in the UK or are lucky enough to be on season in the med! Windsurfing UK This UK-based windsurfing mag has been showcasing the best of British windsurfing for years. Whether it's kit reviews or interviews, you'll be able to find it all on their website at http://www.windsurfingukmag.co.uk. This year, WSUK are featuring the SWA in a number of their articles. We're gonna be windsurfing celebs! GetWindsurfing The enthusiastic duo* of Phil Richards and Danielle Lucas form GetWindsurfing. We are delighted to have them onboard and one lucky winner will walk away with a free spot on a UK coaching weekend at Nationals! GetWindsurfing also offer a unique holiday service that all Universities can use, and their clinics offer one of the best ways to improve your windsurfing. They also produce fantastic windsurfing tutorials on Youtube! Red Paddle S'up, Red Paddle! (... get it?) We all cross our fingers for perfect wind conditions on festival weekends but when Light Wind Olympics must be organised, Red Paddle will often step in to kindly donate use of their Stand Up Paddleboards! Even in windy or wavy conditions they are popular when we just want to chill out or mess around on the water! RNLI The RNLI is the charity that saves lives at sea. They provide, on call, a 24-hour lifeboat search and rescue service around the UK and Ireland, and a seasonal lifeguard service. With our lifeboats, lifeguards, safety advice and flood rescue, they are committed to saving lives. The SWA knows, as windsurfers, how important the RNLI is to our safety and encourages all members to support them along with our other associated charities.